OAKLAND, Calif. (KGO) -- The same group of activists who formed a human chain and shut down the Bay Bridge in January has forced the Oakland Chamber of Commerce to postpone its annual economic development summit. 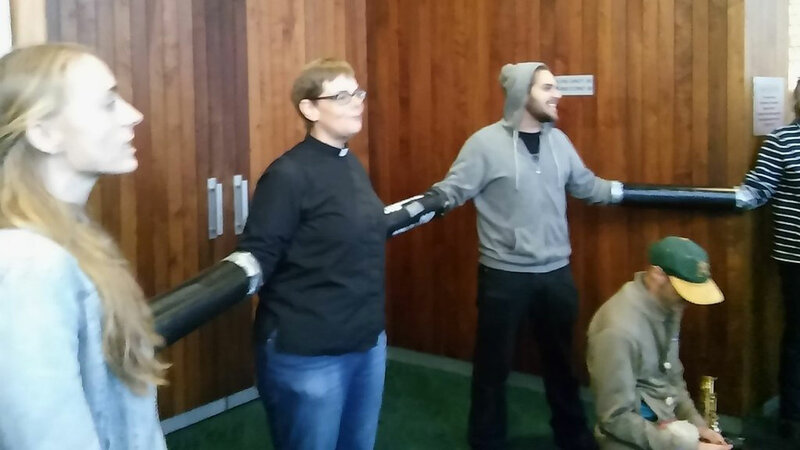 Protesters locked arms in PVC pipes Friday morning to prevent attendees from entering the Kaiser Center Auditorium on Lakeside Drive. The group and several others are targeting developers they say are seeking profit from Oakland's housing crisis. They want Mayor Libby Schaaf to support a resolution to declare a housing state of emergency. The Oakland City Council is scheduled to consider that resolution on April 5. Protesters who linked chains through cars blocked westbound traffic on the Bay Bridge just before Treasure Island.